Everyone loves playing with their pets, especially the kids. 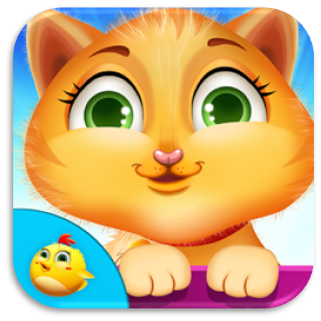 Gameiva brings you the cutest pets for kids with whom the kids can play all variety of fun games with them. Enjoy playing tonnes of different games with them, taking care of all their needs and doing many different fun activities with them. Let’s have a look at few of the best and most addictive pet games for kids and toddlers that Gameiva has for them in the list given below. Do you love to have pets? Everyone does as they are the best companions that one can have. Choose your favorite pet character from this game by Gameiva and start all the different pet take care activities. 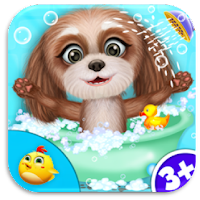 Bath the pet and clean his body with the soap, shampoo and the scrubber. Play with different bath tub toys while bathing the kitty or the puppy. Wipe out all the water from his body using the towel and use the dryer to dry them off. Do tonnes of other different innovative activities and enjoy an entire day playing and taking care of your cute little pet. Playing with small cute kittens is a very amazing experience. And especially the kids will love playing with the kittens and playing many different activities and games. And for all those children Gameiva brings them an adorable kitty take care game where they can play and take care of their cat. Kids can perform lot of fun activities like bathing the kitten, cleaning the injury, dressing her up, getting her to sleep etc. This game will give all the kids a feeling of having a cute kitten as per at home. Do lot of different activities and play with the kitten. 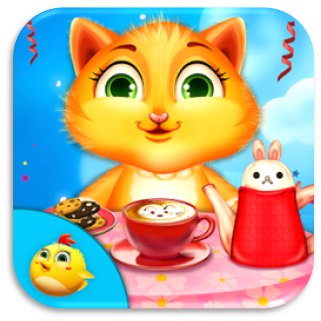 Play a number of different levels related to fun and education with the kitten. Feed the kitten, give him a clean bath and also dress him up to look cute and handsome. The cats love for her little ones is really an adorable view. Here the pet mom cat has given birth to a very cute kitten now she has to take all the necessary care for her kitten. Help the mom cat to take care of the new born kitty to keep the baby healthy and safe. You must follow all the prescribed tasks with the given steps to complete the total care of the kitten. 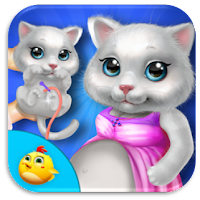 Bath, feed, and dress up the adorable kitten and have fun with this lovable game for kids. Complete various tasks like feeding, cleaning, packing the bags for a picnic. Give the kitten best medical treatment to keep her safe and healthy. Feed the kitten with delicious foods like cake and fruits. Let's have fun by this Kitty Tea Party. Let us host this Kitty Tea Party by Gameiva. Start preparing invitation cards for little kitties friends then wrap return gifts for them. After that assist kitty to prepare tea and make all preparation for tea. After completing all preparation help them to choose best suitable dress up for party. At last arrange great table for them and share their memory with friends. The cute cat had been very dirty throughout the day so it is time to do a makeup for crazy clean makeover for the cat. Do all the different tasks required for a makeup activity by cleaning her hair, putting shampoo on it, removing the germs, bating etc. And finally get the cat ready with a beautiful hair and a smile on her face. Also kids can play some funny cat painting with lots of colors and tools including stickers. After all our hectic schedule partying every once in a while can really improve your mood and health and motivate you to work even harder. And For all the tired of study kids out there we bring you some amazing collection of fun and entertaining party games. Get the latest party ideas for kids and enjoy partying with all your friends and family. Below given are few of the most liked party games for kids and toddlers by Gameiva that you can play and relieve yourself a bit. 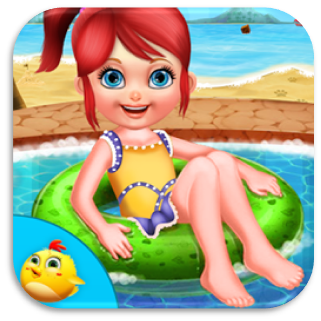 It's is time for a big and a crazy swimming party in this latest game for girls by Gameiva. 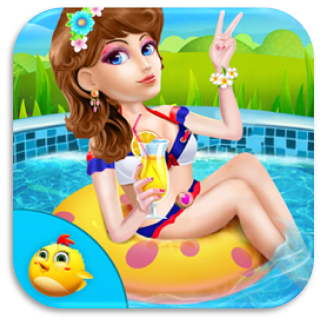 There are so many different fun activities being features in this game like spa games, swimming pool cleaning, preparing lunch for the lunch break any many more. Also help the beautiful girl get ready for her swimming pool party and then you can cast your votes to your favorite stylish models and their clothes while the judges will be counting all your votes. Give all the proper medical care to all the girls who have minor injuries on their body. 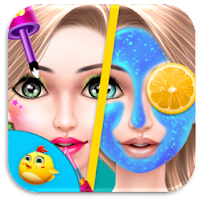 Do different beauty activities in the Spa view at the Swimming party. Prepare for a picnic and pack all the necessary items for it. Participate in a fashion competition and also cast your votes for your favorite models over there. It's time to plan a perfect party by inviting all your friends to it with this kid's preschool game. Create invitation cards, post letters and do all other required task to invite all your friends and start the exciting party. Complete various activities like making party bags, bake cake for the party, cut the cake, and take photo graphs and many other fun activities which will make this a totally memorable party for the kids. So let's get started with each activity and enjoy this day. Create attractive invitation cards with photographs, stamps and coloring. 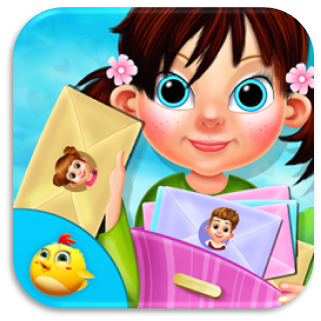 Post the invitation cards to all your friends with different envelope and stamps. Make bags and prepare cake for the party. Play some amazing games to make the party unforgettable. Have you ever been to a beautiful beach? We know that going to a beach is full of fun and enjoyment playing and swimming in the waves, playing with sand and making castles from it and various different fun activities. So pack your bags and come to this amazing beach which is specially made for kids. Enjoy playing various games with your friends and then go to have lunch in the afternoon with the friends. Also you have to be a hero and rescue all the kids who are in trouble in the beach. Pack your bags with friends and collect all the fun items for the beach party. Rescue the kids who are trapped in the mud or in the sea. Have a tasty lunch with your friends. Go for shopping in the beach and buy all your favorite things. It is time to have some fun with the summer camp for kids. A total fun and entertaining game by Gameiva where kids can enjoy a total vacation for themselves with the camp at some beautiful places. Play many different games with friends, play with any toys of your choice, do camp fire with friends and also create your own driving license with your image in it and save it to gallery. These games are filled totally with lot of fun and entertainment in the camp which will get the kids engaged in playing with it. Stay away from the honey comb as they might attack you with their stings. Find yours and your friends hidden toys in a messy room. 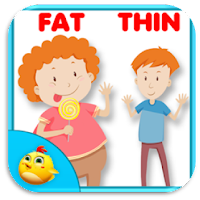 We have tons of more different games for all the occasions and categories at Gameiva which we develop specially for educational and interactive purpose for kids and toddlers. Do stay with us for all our latest updates on games on Play Store. Here we come again with another set of new categories of games all related to various kinds like educational games, activity games, fun game, etc. These games are packed with totally new exciting levels featuring lot of fun activities that the ids can enjoy and learn any time. What’s the point of playing a game if there is only fun but no learning in it? Let’s do some learning alongside having fun with it. There are lots of different objects hidden at the zoo having lot of animals and birds in it. 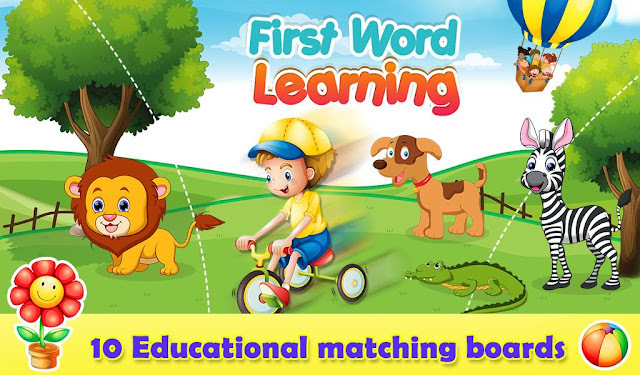 Find them all in different levels having lot of different animals. Complete the level before the time gets over by finding all the items given in the list. Use lot of different power ups in between the game like magnet, zap the time to pause for a moment and give you some more time to think, you can also use few more seconds of time when it is about to be finished and much more. We have met with a crazy big cave man in the forest who wants to play lot of fun games with you. Enter the world of primitive men by Gameiva and enjoy the amazing activities awaiting you in this entertaining game for kids. 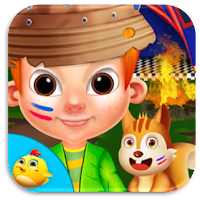 Show the caveman the way to his home as he is stuck in a small maze in the jungle. You need to build a bomb as there are so many big rocks which have to be blasted off from the way. 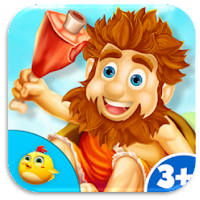 Enjoy lot of amazing games and activities with the funny fat caveman. There is a huge fire in the main engine of the plane. Break the lock of and extinguish the fire in the engine. Help the cavemen to clean off his injuries using all your medical tools. Do some funny makeover for the cave man and make him look totally weird. There are dozens of fun activities that you can do with the caveman. 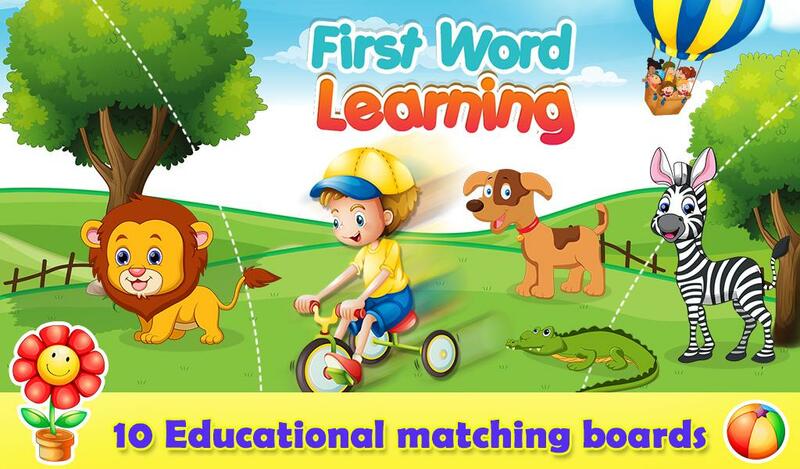 First word learning is an amazing game for all the toddlers with lot of different easy learning activities which will help them learn lot of new words by themselves. Start the game and then choose your level. Each level will have a different collection of objects which you have to play with. Arrange all the different items on different levels into its shadows and complete the level. Once the level is completed move on to the next level with another collection of objects. 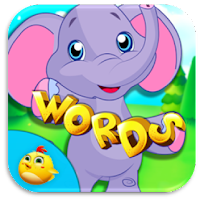 Complete all the levels and learn lot of different new words. Playing some spy game or a detective game can be super exciting and fun but its bit hard to be a good spy. You need to have proper detective training, make a spy team, follow all the protocols of the mission and use all the spying techniques for various different spy activities. 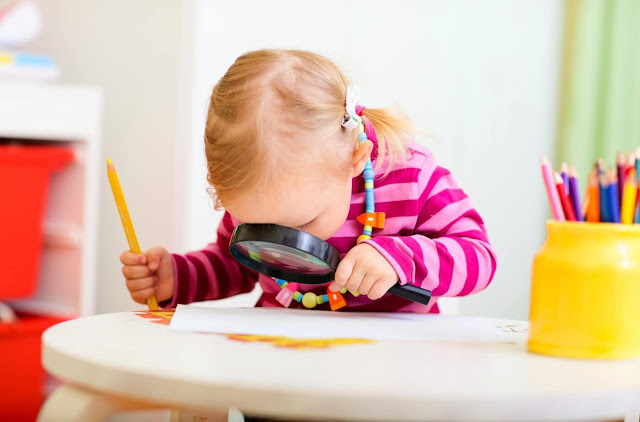 Let’s have a look at some of the coolest spy ideas for kids that they can perform at their home with all their toddler friends. Spying is fun with more than 2 people in a team for a backup and completes the mission quicker. Give a job to each of the member in the team and a specific role to them with a captain who is in charge of all of them. Get equipped with all the spy gadgets like a walkie talkie, whistle, magnifying glass and a camera to capture evidences. You must make sure that you don’t fail to report whatever clue you find out to other team members through your communicating device like a cell phone or walkie talkie. Once have equipped all the team members with all the gadgets it is time that you practice and prepare to use all the devices perfectly. Wear a spy dress which will differentiate you completely from ordinary people and be sure to be in disguise and don’t get suspected by anyone. Encrypt your secret messages with a simple yet secret code and make a collection of entirely new set of alphabets or symbols for your message which only you and your team members will know. You spy team should be able to face any situation and always be prepared to face any kind of mini dangers like a locked room, climbing down from a tall tree, getting lost in the crowd etc. Choose the style of the mission like to find out some hidden objects, find out the password of a computer locked system, or finding and diffusing a small water bomb. Make a map by yourself of the surrounding and places where you have to complete the mission. Cover all your tracks and don’t leave any evidence behind. Now you are ready with all the activities and training necessary to build a super detective team by yourself and now let’s go for some missions and complete all of them successfully. Outline all the sizes of the shoes into different pieces of paper and give a number to each. Pass it on to all the kids and be sure that you don’t pass any of the kids with their own shoe size. The detective team will have to work smartly on matching the outline of all the shoes present there and measuring their sizes. The one who finds the correct size out the fastest will be the winner. Collect lot of detective items like a walk talkie, magnifying glass, cell phone, watch, camera and much more. Put them on the table and have a blanket on the top of it to hide it from the detectives. Pull the blanket for a few seconds and allow the toddler detectives to memorize the maximum of them as possible. Ask them to write them down in a piece of paper. The one who has the maximum right answers written into the paper will be the best detective of the day. There is a non-detective amongst the group of detectives and the task is to find out who this secret non detective with your detective eyes. Everyone will close their eyes and the one who is not a detective will change his or her posture every time. The detectives have to memorize the postures of everyone before they close their eyes. When the detectives open their eyes they have to find out the one who has changed their posture. The one who finds out the non-detective first will be the detective with an eye of a tiger. There are tons of different detective games that you can play. Gameiva brings you a perfect set of detective and criminal case games which you can play at home and get thrilling spy ideas and also play lot of games. Do you enjoy being at salon and doing all the makeover activities with your own makeover skills. 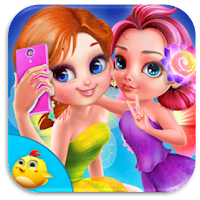 Then here is a perfect list of games for girls by Gameiva that you all are surely going to love playing. Enjoy the Indian traditional special makeover activities, Play with the cute pets at the pet salon and lot of different makeover games of totally different categories in each. 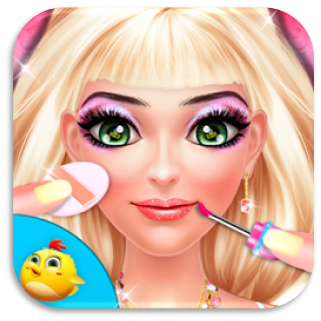 Lets have a look at all of the latest salon and makeover games that Gameiva brings for you. 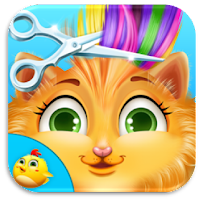 Now even the animals want to have some beauty make over at your salon and become totally cute and beautiful. All the animals from the jungle are waiting in line at your salon. Begin fast and choose your animal customers one by one and start all the makeover activities for them. Wash their hair with a shampoo and use the towel and the drier to dry it off. 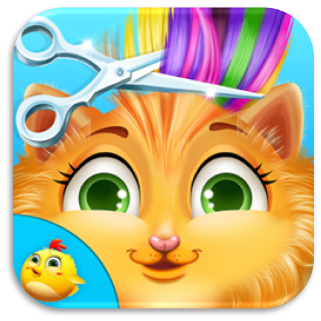 Use all the different hair dress up tools and give beautiful hair design to all the animals and make sure that the design your make totally suit their cute looks. 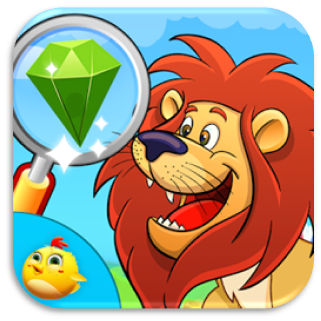 Enjoy lot of different animal salon activities in this game. Select all your animal customers one by one. Make different hair styles for each of the animals. You will have to hurry up as there are lots of different animals from the forest. 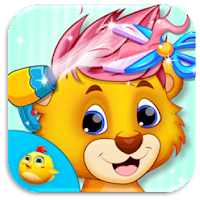 Share this animal salon game with all your friends and have fun with the totally new makeover activities. The Super model is going to participate in a huge fashion show soon and she urgently needs your makeup skills to make her look beautiful for the big event. Do lot of different makeover activities like applying cream to her face and giving a wash to make her face skin glow. Use the towel to dry off all the water off her face. Remove all the pimples from her face with the pimple remover. Use the hair remover to remove all the small hair near her eyebrows. There are plenty of different tasks to be completed for all the different beautiful models. So start quickly and help them get ready for the fashion show. A totally new game of princess makeover and salon activities and also lot of different fun games and activities at a beautiful royal garden. Enjoy playing with the beautiful unicorn, collect all the different fruits and clean them to make some delicious fruit juice from it. 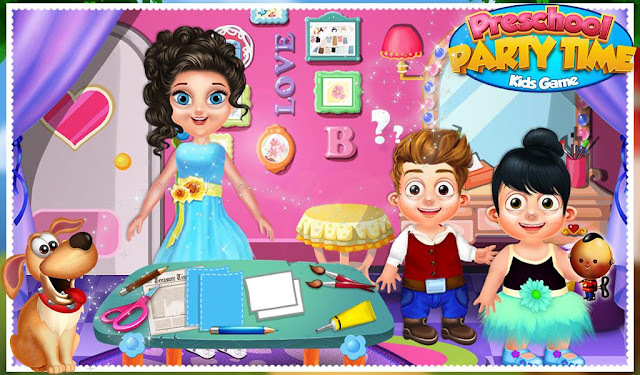 Make a beautiful outfit for the princess, enjoy with all the different makeover activities. Time to do some makeover for the princess as well as the beautiful unicorn of the princess and make them totally beautiful. Collect all the different fruits and make some delicious juice out of it. Enjoy playing with the unicorn and doing some makeover activity with him. Prepare some beautiful dress for the princess. 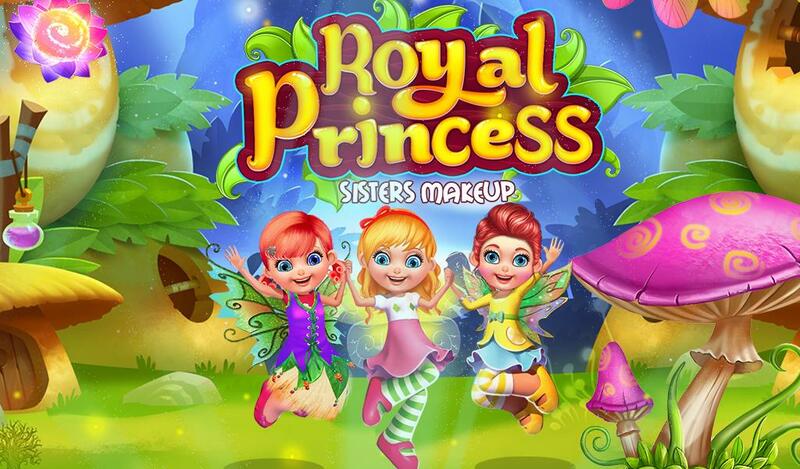 Share this amazing game with all your friends and have fun playing with the princess and the unicorn. Help your lady customers to have a perfect makeover in your beauty salon in this girl's game by Gameiva. Your salon is open and the customers are flooding in for some perfect makeover activities by you. So let's get started and do all the required tasks in this makeover game for kids where you have to take all the necessary beauty care activities. Wash the hair, remove the pimples, and do nail polish for the girl. Select perfect hairstyle, eye color and a beautiful outfit which will look perfect for her prom party. 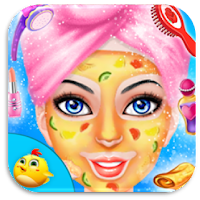 Enjoy this makeover game with lot of new activities and become the owner of your own beauty salon. It's time for a makeover. A beautiful Indian girls wants to look gorgeous in evening party where she have to wear a designer Indian dress so help her to get ready. 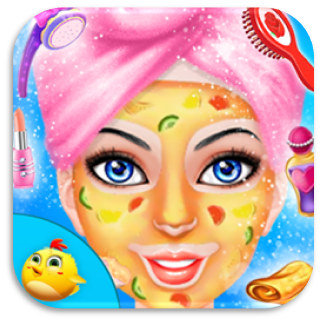 At the beginning of the game start applying spa treatment. Massage on face with cream, wash face using shower, last apply face pack. Help her in perfect makeup, choose eye shadow, lipstick, eye lashes & more from given makeup kit. Choose beautiful hairstyle which suits on her face then select designer Indian dress from wide collection with matching accessories like necklace, purse, sandals & more.